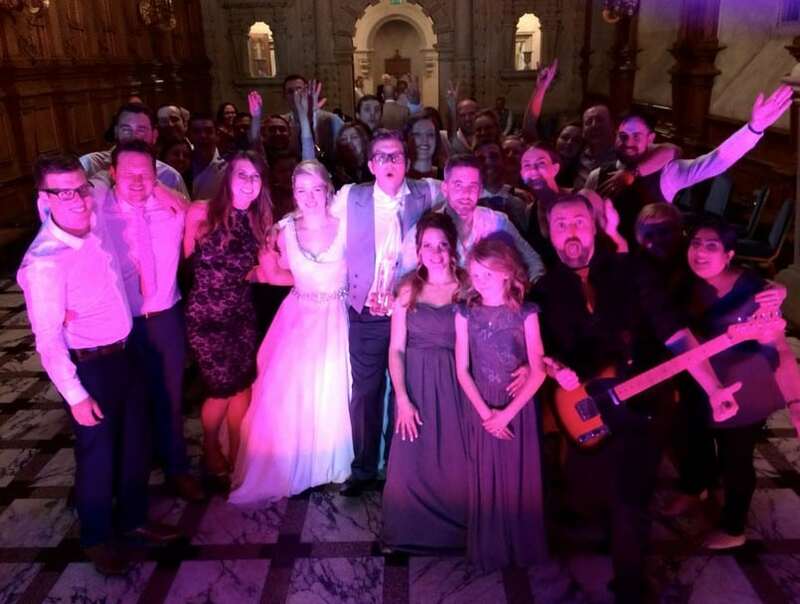 To say that Harlaxton Manor in Grantham is impressive would be similar to saying that Hard to Handle band are pretty good at performing at wedding receptions. 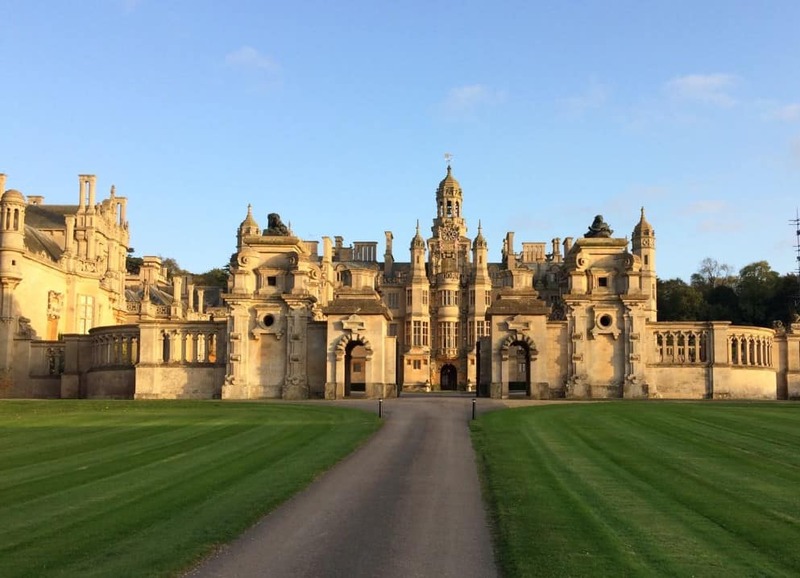 In other words, Harlaxton Manor is amazing, and so are we! There however the comparison ends – one is a Victorian manor house built in the Jacobethan style, the other is the UK’s’ hardest working function and wedding band. Just in case you were wondering. Natasha and Dean hired us back in August to perform for them, their family and friends in the Great Hall at this venue. Apparently, they found our website, took a look, loved us but decided to look at other bands to see how we measured up. Guess what? They kept coming back to the Hard to Handle band website, watching our videos, listening to our music and reading our verbose yet amusing news items. *actually quite important. If you hire a band that doesn’t hold public liability insurance (PLI), you’re sailing into choppy waters as the venue may refuse to allow the band onto their premises. Not a good look. This was exactly what Natasha and Dean were looking for. Having liaised with the good people at Harlaxton Manor prior to the big day, we arrived in plenty of time, set up our equipment, performed a brief soundcheck and then waited for the wedding breakfast speeches and to finish. 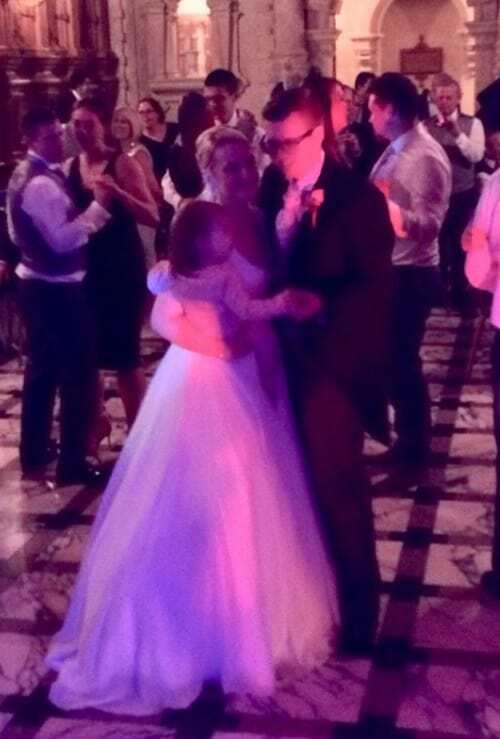 We then called the bride and groom onto the dance floor for the first dance and then played 2 x 1 hour sets of classic and contemporary live band music, sandwiched in between our DJ sets. 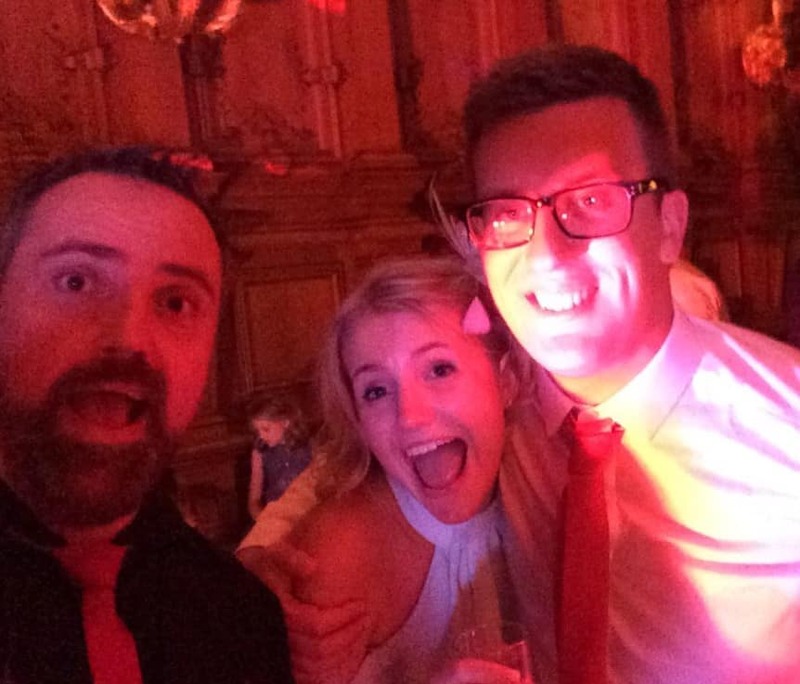 Needless to say, the night was a rip-roaring success with a sweaty, heaving dance floor and a very happy bride and groom! Does this sound like you? Good. Well get in touch then! Call us direct on 0796 433 5657. We look forward to hearing from you.